In the home based business industry the name of the game is exposure. With so many different strategies out there, how is one to choose? Which one is the best? Which works for your service or product? Which will yield high ROI? Well my friend understanding how to get traffic to your website or blog is your answer. No need to have anxiety over how to figure out this "traffic" thing. Since all traffic sources are not created equal, you just need to identify which traffic source is right for you and your business model. Within that source you will lean to one strategy to implement. There are 3 primary sources of traffic you should be focusing on. I explain what these sources are and a few strategies that go with it. This is a pay to play traffic model. You typically find a provider who has access to tons of data and people and pay them to access them. What great is that anyone with a small budget can take advantage of this traffic source. But if you are not clear on who you are targeting and clear on your message you could lose your shirt. There maybe some technical hurdles as well because every platform is different. Typically there are terms and conditions that you must comb through to make sure your ads are approved. Your follow-up sequence must be on point because you want these to see you as a trusted advisor quickly. You only need to master one strategy to make this worth your bottom line. Collaborating with a strategic partner is one key in adding quality leads to your list. Based on another's recommendation you'll have the opportunity to share you content or material with their audience or tribe. Have a few strategic partners especially when it comes to launches and promotions can mean the difference between success and failure. Approach these partners with a WIN-WIN situation and you can easily build a rolodex of profitable relationship that are available to you at anytime. Reaching your target audience in an organic way has proven to be a long term approach that can be very profitable. This is like a set it and forget it model. You create useful and insightful pieces of content that will attract your audience. By optimizing your content you can be found in the search engines. So once someone lands on your content make sure your call-to action are compelling enough to opt-in to your email list. From there you can build a relationship with them by sharing stories, examples, case studies, articles and nuggets of information that will help them get to their goals faster. Typically with this approach people come to the table with credit card in hand because they had time to watch you and they now trust you to guide them on their journey. No matter how to get traffic to your website or blog, you must be consistent with it. Consistency is what will make you stand apart. So many people are jumping online with whiz-bang flashy products and services and once the launch is over they are nowhere to be found. If you consistently show up serving your market you will WIN by default. This key to success is especially true with people struggling to work their business with little to no time. You might buy into the excuse that because you are time strapped thats why you are not succeeding. In reality you simply are not being a good steward of the time you currently have. "Ouch!" Embrace this tough love because the sooner you can remove this excuse from your mental data bank the sooner you can get on with handling your business. 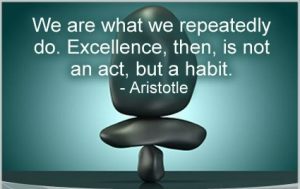 We all have the same time, its how we structure our day that will determine if we will succeed. The simple solution for busy marketers is to identify your peak performance hours. Is it 2 hrs in the morning and 2 hours at night? Is it waking up a few hours early before the kids wake up? Is it a few hours at night after everyone is in bed? Is it on your lunch break? Hope you are picking up what I'm laying down. Figure out your hours of operations and lock in those times. Then tell everyone and their momma that you are not available during those times. Now that you have your schedule down, you can focus on mastering your traffic source and the specific strategy you will be using. Like I mentioned in the video overtime you do want to have all 3 sources of traffic operating in your business. But like everything in life you have to take things step by step. Hope you enjoyed this post how to get traffic to your website or blog. If so, please share on social media. Leave me a comment about what traffic source is primary in your business and what strategy has worked best for you. Great article! I am definitely bookmarking this! Glad you enjoyed it Kim! Building and growing our online business requires traffic. These are good tips and resources Yvar. Learning and building skills for getting traffic is key, appreciate you sharing this.